If cooking indoors, consider using Sterno or alcohol as fuel, not wood or charcoal. 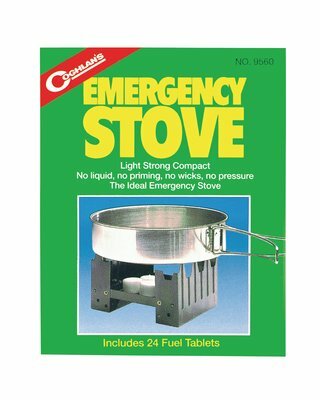 The Coghlans 9560 Emergency Stove , $7. Can be fired with fuel tablets, an alcohol burner, Sterno and possibly twigs. 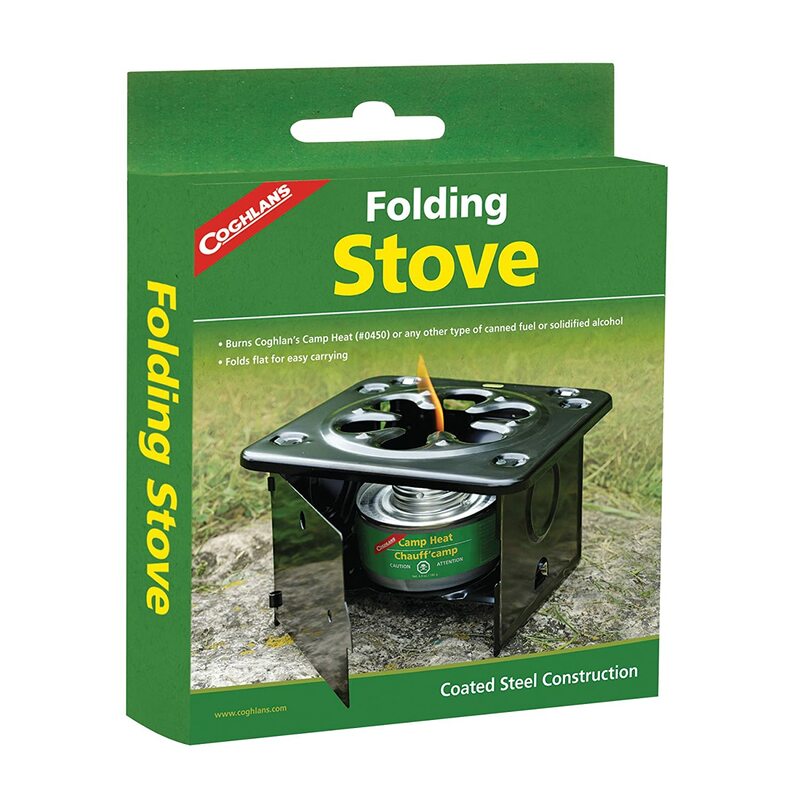 Coghlans Folding Stove, $10, is intended to be used with canned fuel. With precautions, with some canned fuel (read the label), it can be used indoors. The QuickStove , $20, can be fired with fuel tablets, an alcohol burner, Sterno and twigs. The Firebox Folding Stove 5″, $60 can be fired with fuel tablets, an alcohol burner, Sterno, charcoal and twigs. 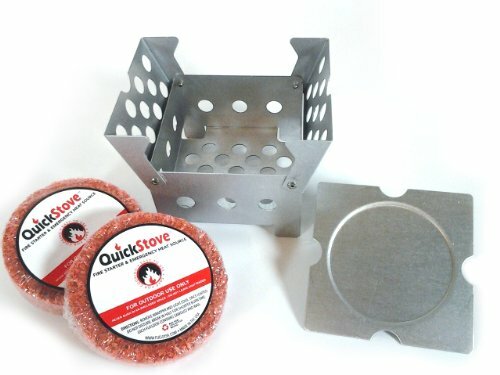 These alcohol burners can be used in the Multi-Fuel Stoves (above) and in other stoves. Many types of alcohol can be used as fuel. The product “Heet” in the yellow container is an automotive gas line anti-freeze is commonly available. Heet (alcohol fuel), $5, is available from WalMart and automotive supply stores. Esbit alcohol burner is $20. Homemade alcohol burner made from a soda can uses Heet for fuel. 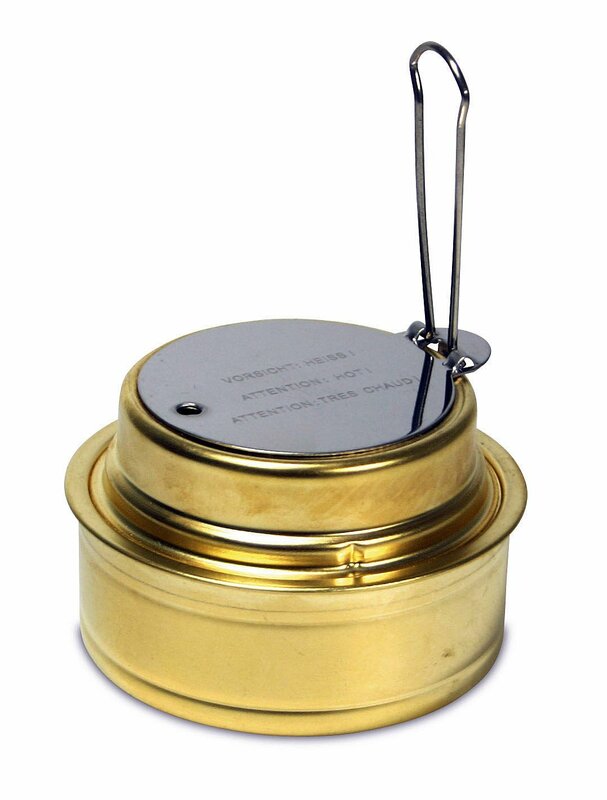 An inexpensive butane stove can be safely used indoors. Butane stoves begin at less than $20. Butane fuel 80z canisters, $1 each in a 12 pack. Each canister is good for approximately 9 hours. Volcano Outdoor Stove , $150, can be used with wood, propane or charcoal. The Scout, $60, is a very small wood gas stove, suitable for backpacking or bugout. The Silverfire Super Dragon stove. Wood fired oven using a recycled toaster oven and a Silverlight Survivor rocket stove, $179.95. Using the SilverLight Survivor with a Coleman camp oven for baking. Use caution with wet blocks. If left in the rain the absorbed water, when heated, can turn into steam and cause an explosion. StoveTec wood/coal rocket stove, 32,900 BTU. The Kelly Kettle. Available in Aluminum or Stainless Steel $90, in several sizes. The chimney is surrounded by a water jacket for heating water fast. Using only naturally occurring fuels such as sticks, Pine cones, Birch bark, Heather etc. outdoor camp kettles boil water in just 3 – 5 minutes. Also can be used for cooking. Portable Camp Oven by Coleman, $30, folds flat and can be used with many cook stoves. 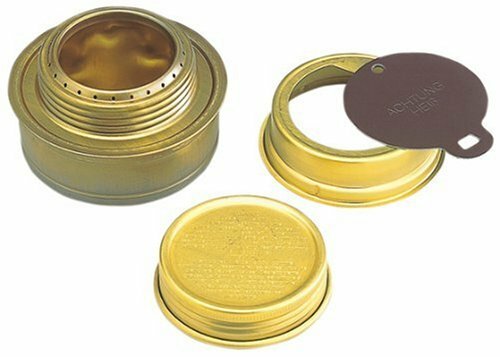 The lid , $25, is a flexible and fireproof accessory for Volcano stoves that can be used for baking or smoking. When the lid is used with a Dutch oven, coals are not required on top of the cast iron pot lid as normally would be the case.